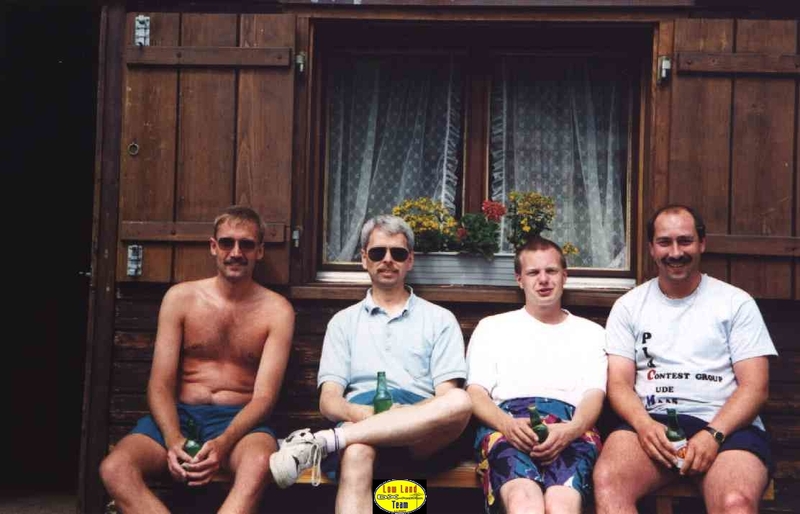 In the summer of 1994 Peter (PA3BBP), Rob (PA3ERC), Ronald (PA3EWP) and Steve (PA3GBQ); all members of Contestgroup Oude Maas (PI4COM), have been on DX-pedition. This would be our first dx-pedition and a try-out for possible dx-peditions in future. We made the decision to go to a country somewhere in Europe. After making the selection of a few countries we decided to go HB0, Liechtenstein. We rented a bungalow for one week in Malbun, the highest city in Liechtenstein we could find on the map. We all used the same callsign during this DX-pedion namely: HB0/PA3ERC. 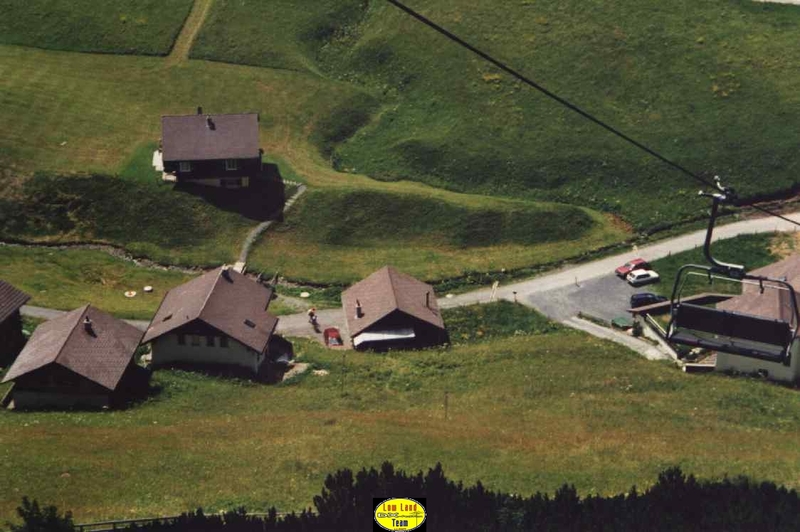 On 17 July we left by car for Malbun Liechtenstein. It took 10 hours before we were at our destination. We were very disappointed when we saw our location. It could be the highest city but it was still surrounded by mountains, there was only free direction, it was to the Northwest. There was a lot of place behind our bungalow to put the antennas up but the place was very dangerous, it goes straight up the mountain. But we managed it, after 2 hours the antennas were ready to use. In the house we noticed our first problem, the wall-outlets were not the same as the regular wall-outlets. After looking around in the house for an alternative we decided to disconnect the 220Volt plug from the electrical stove, now we were ready to go. After the dinner we logged our first QSO at 21.28 UTC. We wanted to be active with 2 stations for 24 hours a day. Soon we noticed that it was impossible to do this, the interference from the other station was to heavy. We didn’t bring any bandpass filter with us. So it was very difficult to combine the 2 stations. We selected always 2 bands that didn’t interfere with each other. The second day we got a problem with the FT-990, there was a problem with the power supply. So we had only one transceiver left. During our 7 days stay in HB0 we had every evening/night thunderstorms so it was nearly impossible to work on the low bands. Two evenings there were very good openings on 30 and 40 meter to North America, we helped a lot of them to work a new country. 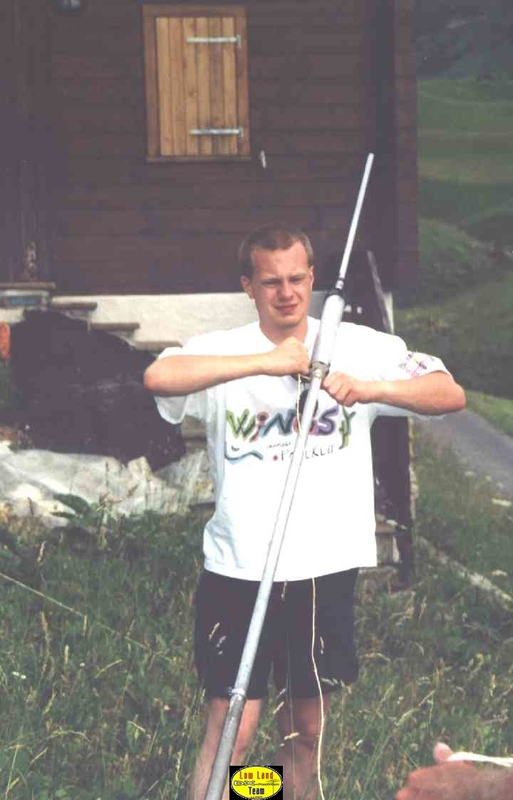 The propagation was very poor, sometimes it wasn’t possible to work phone at all, so we were forced to work CW. 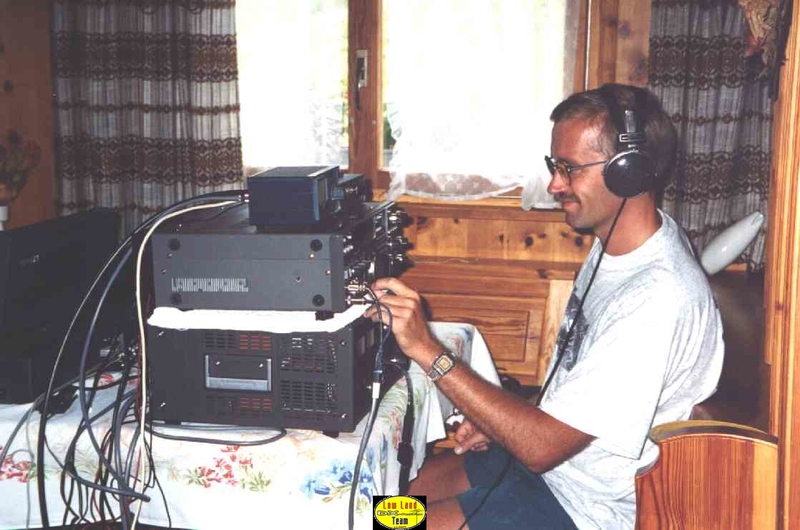 This was a pity for Ronald, his CW was to bad to make any QSO. The last few days we made a dipole for 160 meters, only 2 meters up of the ground from the top of the hill to our house. We worked only a few stations, the QRN of the thunderstorms was terrible. 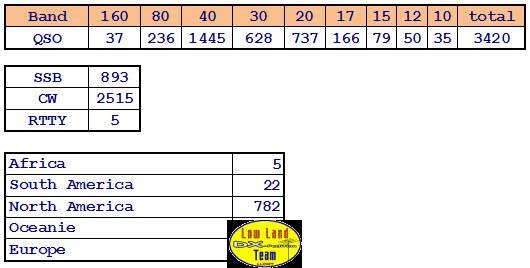 At 24 July we logged at 22.13 UTC our last QSO. The next morning we took down the antennas and went back home to the Netherlands. We learned a lot of this DX-pedition. The first thing is to get more information about the location. On the top of the mountain there was a big restaurant, nearly all the DX-peditions have been to this place. They have there a special room that can be used for a shack with a lot of facilities. If possible take always spare equipment with you, be aware of the power and wall-outlets. Take tools with you, if you need them it can be very helpful. Never use one callsign if you are with more hams or it must be during a contest. During daytime we have seen a lot of the beautiful neighborhood, very nice, quiet and peacefully. Sometimes we made a tour by car through Swiss or Austria. We met also a few hams from different countries like DL, PA, HB9 and HB0. Copyright © 1995 PA3BBP,PA3ERC,PA3EWP,PA3GBQ. All rights reserved.